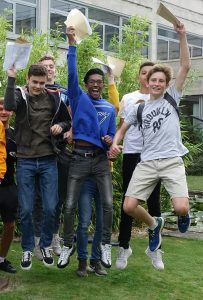 Students at Trinity School, Croydon had cause for celebration today when they received their GCSE results. 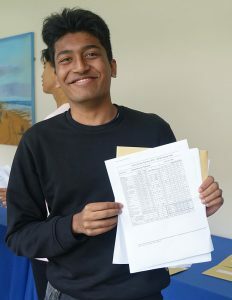 In a year of a mix of old and new grading systems, 68% of grades were awarded A*, 9 or 8, when last year 58% of grades were A*s. 88% of grades were A*, A or their new equivalents 9, 8 and 7.
including English and Maths, 41% of grades were 9 and 68% were 9 or 8. Out of 134 candidates, particular congratulations go to the 79 boys who achieved all A*, A, 9, 8 and 7 grades, and the 19 boys who got A*, 9 and 8 grades in all their GCSE subjects.